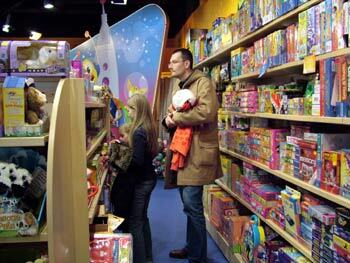 Why is shopping in Maribor Europark so popular? The main reason is its spectacular position just off the river bank and a short walk across the bridge from the city center. That makes it one of the best placed shopping malls I have ever experienced. 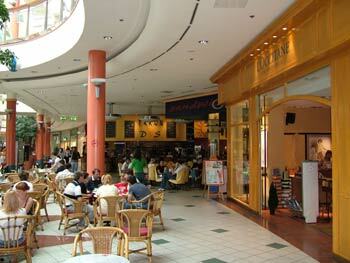 Shopping in Europark is superb and definitely on a par with world-class shopping of much bigger European cities. Its 9 restaurants and cafes are simply too tempting and my shopping in Europark starts with a coffee in Takos, a Mexican restaurant-cafe with excellent and really tasty food, from breakfasts to dinner menus. Maribor cathedral in the pedestrian zone. ...oh my, I'm talking about food again...but I can't help it food is really important in the Slovenian culture. 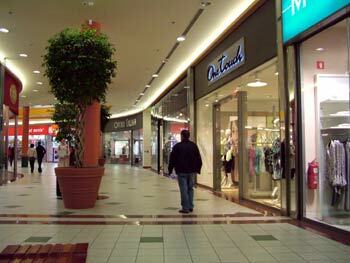 Europark has just undergone a massive extension bringing in even more world-class shops. Accessorize, Burlington, Esprit, Hugo Boss, Swarovski, Tom Tailor, Levi's, Palmers, Samsonite, United Colors of Benetton, Street One, Mango, Zara, Okaidi, Bata, H&M, Peek&Cloppenburg, Geox, Lacoste are just some of the 73 shops and many are on my regular-visit list. Europark from the main restaurant's terrace. without a chat over a cup of coffee. 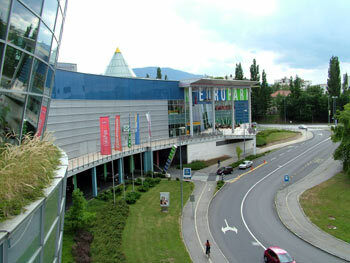 One of the shopping "streets" in Europark. 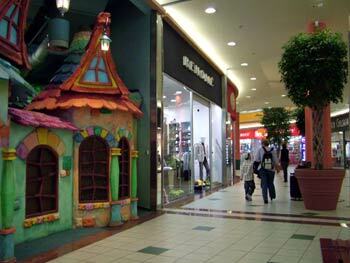 "Carobni svet", a kids play zone is on the left. Europark is not just about shopping, however. The mall regularly hosts mini concerts, fashion shows and local craft fairs. I sometimes end up having just a cup of coffee there, not shopping at all and this still makes my day. 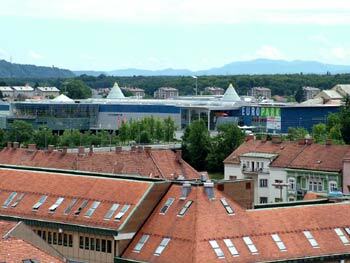 ...yet again the geography wins, making shopping in Maribor really easy and enjoyable.